Khao Lak is a coastal resort in the emerging region of Phang Nga Province, just north of Phuket. It’s home to some stunning beachside properties, like the J W Marriott and the Andamania which look out directly to the sea. The beaches are a relaxed affair, lined with small, rustic bars, restaurants and massage tents. This gives it an informal and unpretentious vibe, and the 25km of public beach are generally uncrowded and unspoilt, making for excellent swimming (or paddle boarding for the adventurous). Stepping back from the seafront, Khao Lak has a distinctly serene, village-like feel and you’ll find many smaller properties nestled among rich foliage, local restaurants and shops – from rustic to luxurious. Golden Coconut is a charming, family-owned property with cosy cabins set around a lake in a former coconut plantation. A short tuk-tuk ride inland is Khao Lak’s main street – Phet Kasem Road – which provides ample entertainment options, including Thai and international cuisine, and a selection of bars. 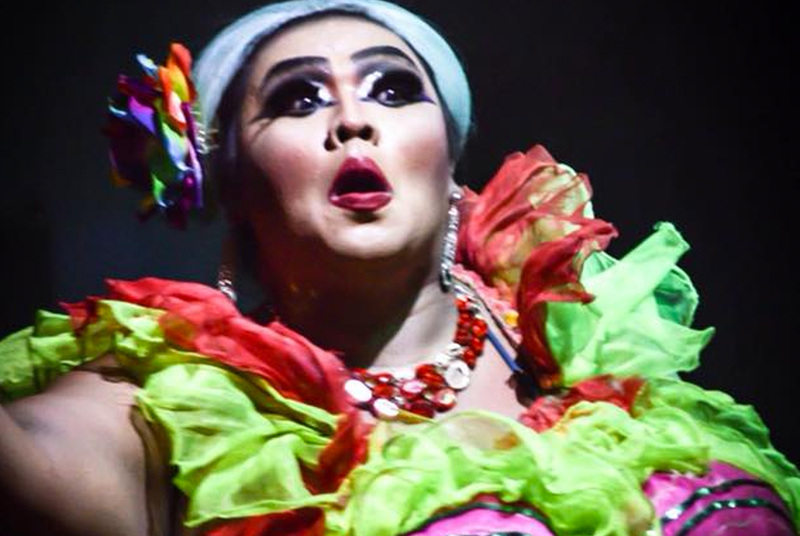 After dinner, Moo Moo Cabaret is a spectacle that must be seen to be believed; it’s a small-town drag cabaret show where you can expect lip syncs and dance routines to power ballads, camp classics and even a few Thai favourites. What’s truly unique about this place is that the owner also manages a boat tour of the Similan Islands: Fantastic Similan Tours. The Similan islands are a National Park consisting of seven tiny islands (Similan means “nine”) that are known for their rich ocean life, crystal-clear waters and cotton-soft white sand. 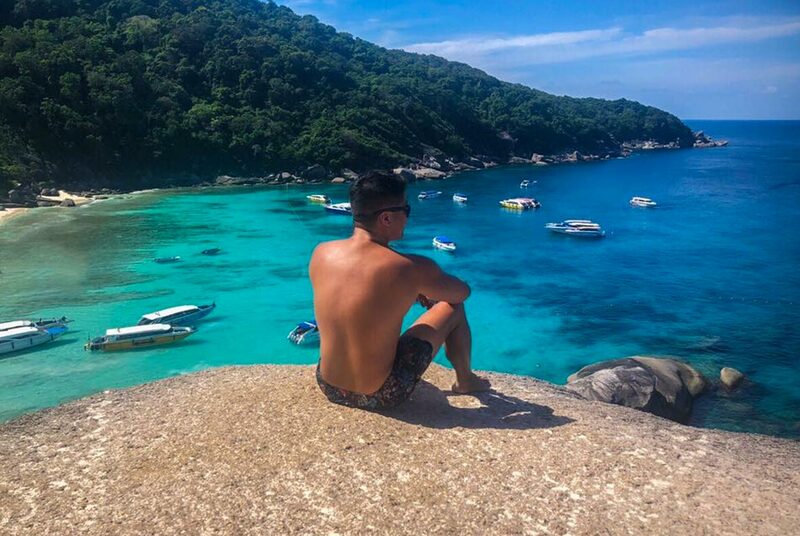 Fantastic Similan Tours provide a first-class day out, with stops at four of the islands to enjoy the incredible panoramas and natural rock formations, snorkel, swim. The diversity in coral and marine life is some of the best in Thailand, and if you’re lucky you may see a sea turtle or two, as several of the beaches are designated turtle conservation zones. To cap everything off, you can partake of a Thai-style picnic lunch, served in tiffins. There are many other companies who provide similar tours, but Fantastic benefits from being hosted by self-proclaimed “ladyboy captains” who ensure guests are entertained throughout the trip with their sparkling personalities. The Similan islands are also a popular choice for SCUBA diving, and is a fabulous way to explore the biodiversity on offer there.